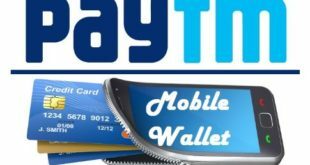 Home / E-Wallet / Paytm / How to Transfer Paytm Wallet Money to Bank Account ? 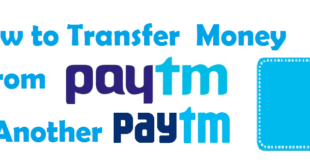 Transfer Paytm Wallet Money to Bank Account : Paytm is a well known Indian electronic payment and e-commerce company which is based at Delhi NCR. Launched in the year August 2010, it has come a long way now. A lot of people use Paytm wallet on a regular basis. 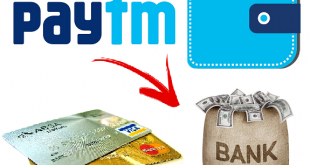 If you are looking to transfer Paytm Wallet Money to Bank Account, this article will be helpful to you. 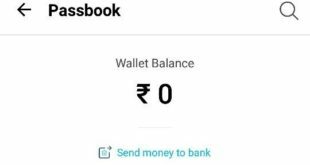 In this Article, we will tell you the steps to transfer Paytm Wallet Money to Bank Account by Paytm App. 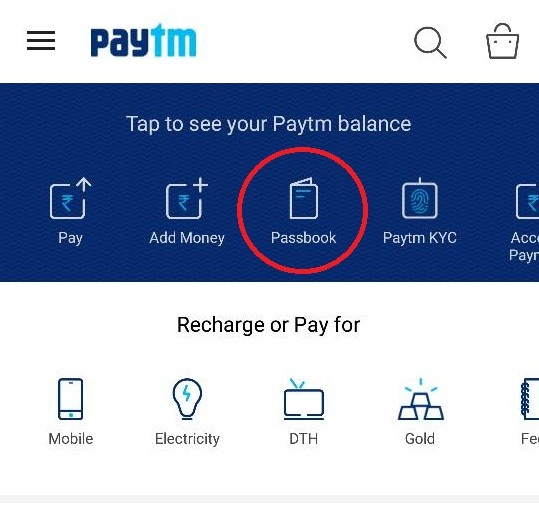 Before we tell you about the procedure to transfer Money from Paytm Wallet to Bank Account, let us tell you what actually is paytm. 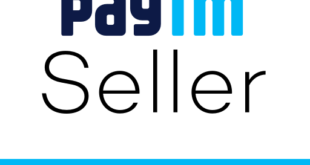 Paytm is a well known electronic payment company that provides its services through a browser, and a mobile app which is available on all popular operating systems including Android, Windows and iOS. With the use of Paytm Wallet you can easily book air tickets and taxis, do mobile recharge, buy movie tickets at Select Multiplexes, and make payments for your DTH, broadband, electricity bills and a lot more. By using Paytm wallet one can also buy fuel at Indian Oil Petrol pumps. 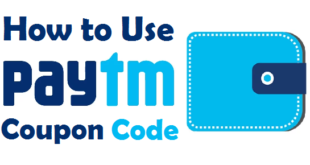 Let us tell you the procedure to transfer Paytm Wallet Money to Bank Account through Paytm Mobile App. The good thing about Paytm App is that you do not need to Login to your Account every time you open it. Amount : Enter the Amount to be transferred. Make sure that the Amount is from 100-5000 only. Account Holder’s Name : Enter the Name of the Account Holder exactly as in Bank Records. 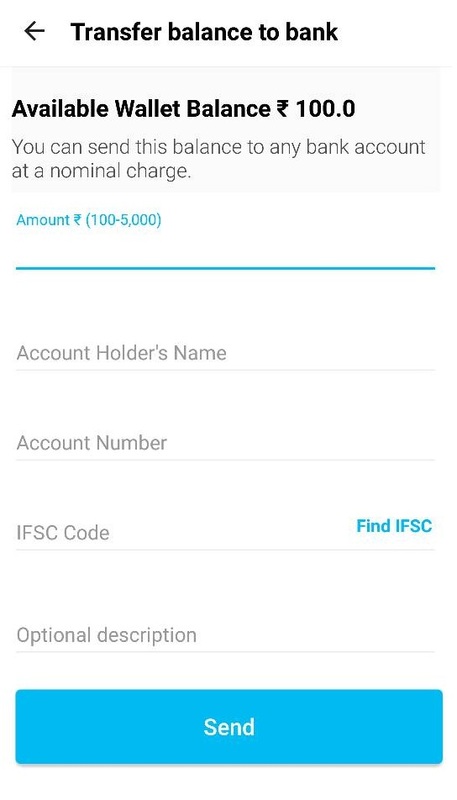 IFSC Code : Enter the IFSC Code of the Branch of the Bank in which the account is operated. Optional Description : Here you can write a short 4-5 words description which could also be seen in the Account Statement of the Account Holder. 5) Finally, Click on Send and you’re done! You will find that the amount has been credited to the Bank Account immediately by IMPS irrespective of whether it is a bank holiday or not. You might have seen that the process to transfer money from Paytm Wallet to Bank Account is quite easy. In case of an emergency, you can also use this procedure to transfer Money from your Credit Card to Paytm Account and then from your Paytm Account to your Bank Account. 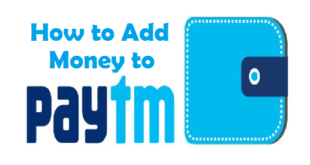 Previous How to Add Money to Paytm Wallet ? 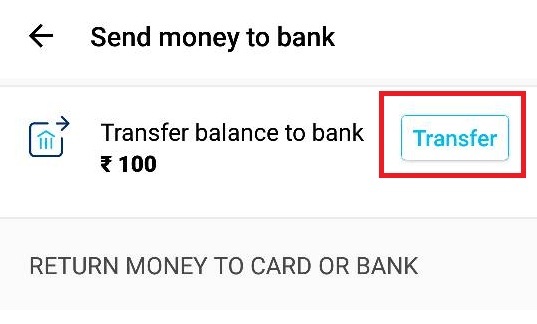 Next How to Transfer Money from Paytm Wallet to Another Paytm Account ?